Dr. Heyd completed his undergraduate training at Montana State University, graduated from medical school at West Virginia University in 1989, completed a residency in Diagnostic Radiology at Saint Elizabeth Hospital Medical Center in Youngstown, Ohio, followed by an advanced fellowship in Abdominal Imaging at Indiana University. He has been practicing at Good Samaritan Hospital in Kearney since 1997, and currently serves as the Medical Director for Kearney Imaging Center. 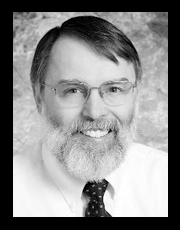 Dr. Jerde graduated from Lawrence University in Appleton, Wisconsin and received his doctorate of medicine from the University of Wisconsin 1977. After an Internship at Swedish Hospital in Seattle, he completed his Diagnostic Radiology residency at the University of Washington, followed by an advanced fellowship in Pediatric Radiology at Children's Orthopedic Hospital in Seattle. Dr. Jerde has been practicing at Good Samaritan Hospital in Kearney since 2003. Dr. Fuerst graduated from the Medical College of Ohio, Toledo, in 1995, and completed his residency in Diagnostic Radiology at the Cleveland Clinic in 1999. Dr Fuerst has been practicing at Good Samaritan Hospital in Kearney since 1998. Dr. Benner earned his undergraduate degree from the University of Nebraska - Lincoln in 2001, then completed medical school at the University of Nebraska Medical Center in Omaha in 2005. After an internship and residency in Diagnostic Radiology, Dr. Benner completed an advanced fellowship in Magnetic Resonance Imaging (MRI), all at the University of Nebraska Medical Center in Omaha. Dr Benner has been practicing at Good Samaritan Hospital in Kearney since 2011. He serves on the Cancer Committee at CHI Health Good Samaritan.